This week the challenge is One Layer! 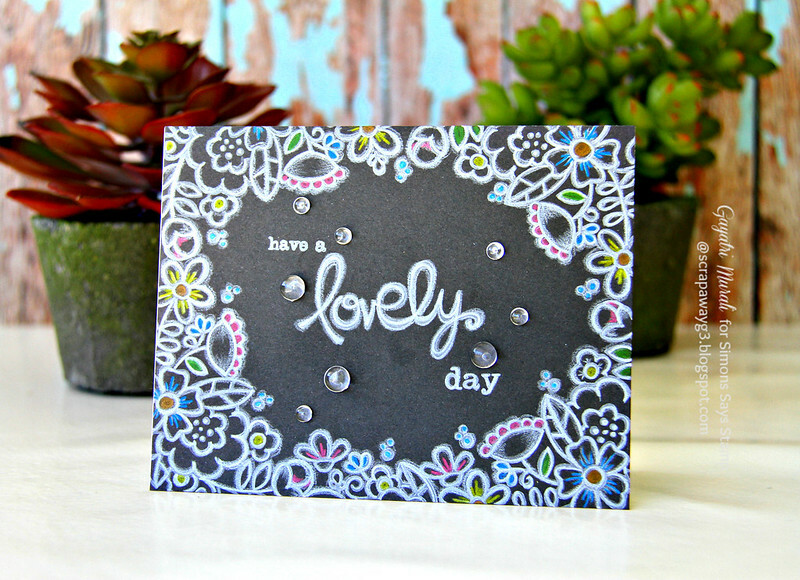 For this challenge you may add die cut pieces and embellishments but the front of the card should look like one layer. We know this one can be tricky for some folks, but we also know you guys ROCK OUR SOCKS every week, so we can’t WAIT to see what you do with the One Layer challenge! Your designs inspire us! Show us what you can do! Here is my one layer card for the challenge. I have used Blossoming Buds stamp set from Paper Smooches to stamp over the edges of the grey cardstock. 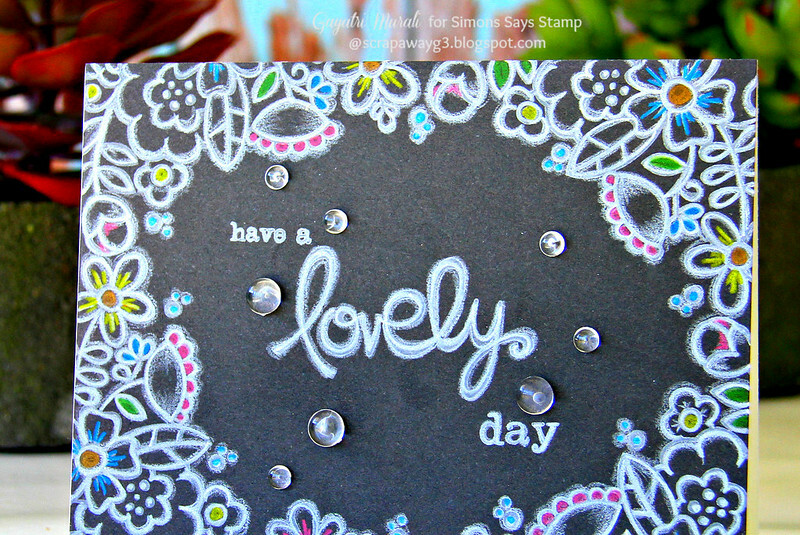 The inspiration for this card came from Jennifer McGuire’s White Pencil Highlights for stamping video. I loved how the White Prisma pencil softens the stamped image and gave highlights to the image as well. I decided to use a grey cardstock and try the technique. When I did practice piece, I loved the chalkboard effect this technique card against the grey cardstock. Hence I choose grey as my background instead of coloured cardstock. I did white pencil highlighting to the entire of the stamped images including the sentiment. Then I felt that the definition of the image was lost. So I sharpened my pencil and went through the outline of the images to get a nice definittion. Then I added some colous here and there using blue, pink, yellow, green and gold pencils. Finally used Clear Droplets from Pretty Pink Posh to embellish and finish the card. Nicely done, Gayatri – love your chalkboard look! Beautiful!! Love the chalkboard look!! The gorgeous chalkboard effect is stunning, a beautiful design with super with the coloured highlights and sequins!! The white really stands out on that black background. It look fabulous. Love this technique! Your card is so sweet. Thanks for the inspiration and thank you for visiting and commenting on my blog! It means a lot! How FUN! I love the chalky look… super pretty and helps the colors to pop even more! Stunning card! I love the technique; I will have to watch that video and try it myself. Beautifully done! Wow – I love this card! You did an awesome job with that white pencil!